I had one of those experiences last night where I could literally feel my heart swell inside of my chest. And not because I ran into my former scene partner from acting school who literally is the doppelgänger of Enrique Eglasias. Ah, here come the waterworks. My acting teacher recently passed away. She was the epitome of old New York Broadway glamour. She was in her nineties. A broadway starlet in her heyday. Had a legendary affair with an elite Hollywood movie star – to the point that he wrote a book about her. But more than any of those accolades, she was a great teacher. And she believed in me. Last night, at my acting school in NYC, they held a celebration in her honor. It was standing room only in the auditorium where people had literally flown in from all over the country – and even around the world – to gather to pay their respects and say something kind about the woman who changed their lives. Like I said: this woman was incredible — and personally taught Alec Baldwin, Adam Sandler…I could go on. Listening to everyone share their favorite memories, and the impact she had on their lives, it made me realize the breadth of this woman’s heart. She gave. She personally invested in each and every one of those people there, and made them feel empowered. She instilled in them the power to believe in themselves. And that is a beautiful thing. But I’ll never forget a moment that we had after class one day. I had done a particularly emotional scene….with doppelgänger Enrique…but she asked me to stay after. And I wrote down our interaction, because I was just taken aback at how perceptive she was. She got me. That was the thing about Hope, is that the very first day of class, you walk on stage by yourself, and she instantly is able to tell you your weakness as an actor. Which sounds incredibly harsh and just…yikes! But it’s not at all like that. It’s a growing exercise. And frankly, free therapy. She nailed it, didn’t she? This was pre-BBB. Pre-book. Pre-even remembering or allowing a thought about that time during my eating disorder to cross my mind. I had it all bottled up. Those memories and feelings were suppressed in the deepest recesses of my spirit. And Hope knew. She could sense that there was more behind my eyes. What she said to me that evening, it stuck with me. In fact, I’d like to think that it was the seed that grew to move me to start writing about my past and start this blog. I know that the most recent posts on this blog are all motivational, positive, faith-centric. But that is the result of a dramatic evolution. When I started this blog, it was to get my story out. Not for an audience. Or for recognition. But for me. To dig up those broken, shattered pieces of my past that I had buried away. The emotion that Hope knew I had somewhere deep down, hidden away. This blog was my unearthing process. Shared with the possible hopes that it could bring insight or perspective to a sufferer or loved one. My teacher, Hope, taught me that my story was worth telling. She cared. And she made me believe I was capable of sharing it. Back in that musty black box theater in the East Village of Manhattan, seeing everyone come together to honer that 4’11” bundle of dynamite, I was fighting back tears. She was a courage fosterer. A confidence builder. A soul searcher and pull-er-out-er. I can’t believe I was so blessed to have had the opportunity to learn from such a giving, empowering, and perceptive woman. I’m realizing now, that the true measure of our lives is the collection of what we give, rather than what we do or achieve. And even though Hope had lived out both of those things, quite impressively, every person in that room was celebrating how she had given them something intangible that changed their lives for the better. I guess after all, she lived out her own philosophy: Find the why. Why do we live? She answered it through example: we live to love. Hey Benjamin, thank you so much. She was an incredible woman. Oh gosh just hanging with friends. What about you? Acting like an American 😂 watching the NFL waiting for a game to start as we speak & its currently 12:20am 😂 do you still take money on PayPal? awwwwww 🙂 thank you Benjamin. Yes! 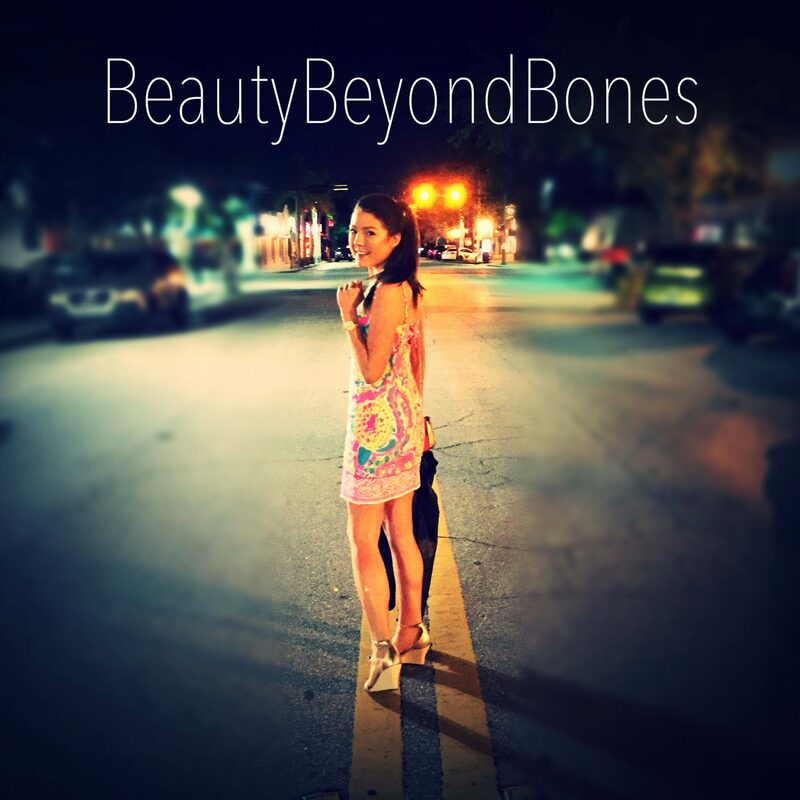 my email is beautybeyondbones@yahoo.com. …also yes, wonderful memory. I think much the same of a history teacher I had, but in a different way. Glad she was such a help to you. May she rest in God’s peace. Beautiful as always! I see so many great things in store for you. Keep shining your light brightly. I love reading what you write! What a beautiful memory of her you paint for someone like me who does not know of her. She must have been pretty magnificent. May her love continue to strengthen you. Praise the Lord 🙂 Thanks for sharing about her. I would’ve never met her otherwise. Pastor, another wonderful and heart touching post! What a blessing she was for so many and how many lives she touched over the years! Proud of you! Praying for you and your family! “We live to love.” It is a simple, beautiful truth. We live to love one another and to love and honor God. To think about caring enough to examine people and identify a blockage or what have you. This is will make an impact on me…see how this goes? Thank you Caralyn. So Sorry for your loss. I recently created a LinkedIn account for no real reason. I received a message friend from HS told me that our mutual best friend had died less than a month ago from heart failure, he was only 35. She told me she was trying to tell as many of our old friends as possible but had long lost my contact info. I asked if there was an obituary I could read, just to see what he had been up to – there was an actual message board. If I had never made the account I would have never known, would never have had the chance to say my goodbyes. God works in mysterious ways. Your book made a beautiful gift for someone close to me. I’m a man, but I could see how great your book would be for the right person whose life it would touch. You have a lovely blog, as well. All the best! I’ll be wanting to keep reading you. This reminded me of my own theatre teacher, Jim Austin at Heidelberg who died some years ago. Great memories of him. And could he and his wife Marty through a cast party!! I have a few, hopefully sage, comments over at Patreon. In the meantime, I hope your book sales go well. Maybe if you sell enough you can get a new pair of jeans… Oops, sorry. Old man comment. You probably paid extra for those, right? Boy, is my face red! He was something; actor, director, musician, cook… Cast parties were sing-a-longs, great food, and charades. The stuff of legends! Thanks for listening. Have a blessed weekend! Amazing post! She sounds like an amazing woman – not only that, but you told the story beautifully! What a great post and a wonderful tribute to her. She surely made an impact on you, and it is amazing to see that. The beauty of passing on encouragement and lessons to others is that it gives those the individuals the ability to pass on their experiences and hope as well. 🙂 Peace be with you. Nice post. A good teacher is so hard to find. One who can look at a student, understand there is more, and help express unsaid and untold. That is why teacher is a Guru. Teacher shows the path. Not everyone can be a teacher. Your acting teacher had the perfect name. Hope. She gave herself to others and gave them …….hope. Sorry to hear about the loss of such a great woman. I’m glad to have met her in the brief description of her impact on your life. What she did for you created the catalyst, your book and blog, that have helped a lot of people battling with eating disorders and self image issues. Keep going! You’re welcome. My name is Greg by the way. Our Lord poured Himself out, completely. As believers, followers and maybe disciples we pour ourselves out for others. New love within compels us. We live to honor the One who made us, redeemed us. Your teacher lived out the pattern. By the Spirit of our Lord you are now doing your unique part in a higher way. Best to you. “She instilled in them the power to believe in themselves. And that is a beautiful thing.” sounds like someone else I know …………..
You may not be able to see it, but you do the same thing to your readers that Hope did to her students. I’m so blessed to learn from you. So writing and acting have that same kind of, headspace? I just stubbed my toe. Imagery. Maybe, that’s why Norman Mailer and Marilyn Monroe, Lyle Lovett & Julia Roberts, Jim & Jeannie Gaffigan all, happened. On a side note Ohio is really green and humid. Haha. My curly hair is curlier. I look like a sweaty bearded Cupid. Do you get to branch out? I mean. You’re pretty but you do have, layers. hmm, i guess i don’t know what you mean? Does the gigs you get reflect you as a whole person or, just the surface? When I got out of the military. I was only saw as this war machine. In actuality, I never liked guns. I just, thought quickly. America is full of judgement. I was kind of mad at one of your posts. Defending Trump and his argument of ‘both sides are to blame.’ The South was a hierarchy that only stood for whiteness. You could believe what you will but, it was in their Constitution and in ours to get us to become a whole America. To protest and rally is the only avenue left for ‘simple citizens’ without means to hire lobbyists. To be actually represented by their districts and government. I don’t promote a side, as much as agree that resolution happens when everyone sees the need for an equal and fair America. That won’t occur under this administration. Life is a gift but has to be thrown away. The plant can’t grow until the seed dies. You’re welcome 😊. ❤️ 💝 and hugs 🤗 to you as well. Hey Caralyn, you obviously learned well from your Fav. Teacher, as you encourage and bless every person you connect with. And you certainly do lift others, and help many to smile. I learned recently of a person who is anorexic. Her Mom-in-law, and Sis-in-law are good friends of ours. husband for many years, but had not seen for a number of years until three weeks ago, they are our son’s age. Anyhow, I spoke to the MIL and SIL and they both thought your book would be a benefit. (I know it will be). I also gave MIL your blog to read. No one should miss your thoughts, encouragement, sharing of Loving Christ and people. This could go on and on. If the others read as well, they can encourage, along with your words of wisdom. That is how social media etc really benefits because SIL is a dean of girls at a Bible College in Saskatchewan, and others all are in this area of Ontario. I always think this will be short……oh well. You are such a pleasure to “talk” to. 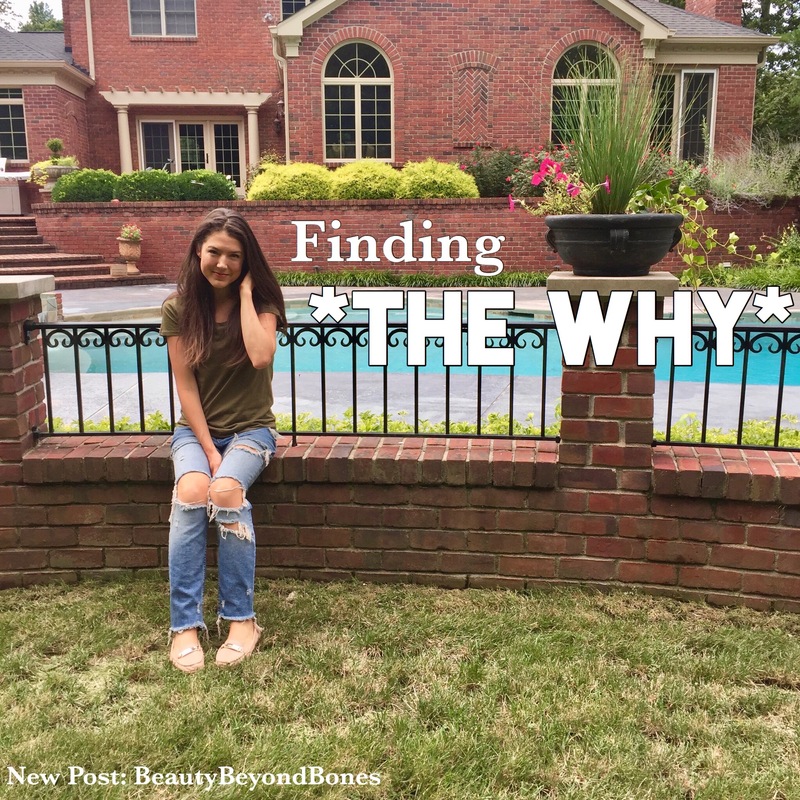 Yes to the why! It gives focus and direction, I love that your sweet mentor spoke that over you as she lived out her own! What a life to celebrate!!! Your tribute to your teacher is so touching and inspiring. We should all strive to see into the hearts of others like she obviously did. How is your mom doing these days? I am so excited about your book launch. Congratulations, Caralyn! I read the excerpt, and it looks wonderful. Lord, bless this book and get it into the hands of those you’ve planned from before time to find healing through its pages. God bless Caralyn and strengthen her. Fill her and continue to lead and guide. Protect her. In Jesus’s name, amen. God bless dear one. Congrats also on over 30,000! Hope. A perfect name for someone who has given so much of herself. So much hope. I am sorry for your loss. May Hope continue to shine bright in your heart! Find your “why” is very important to me. So much so that I wrote this blog post about it – http://wp.me/p1eHUO-Lo and also produced a podcast about it – https://www.podbean.com/media/share/pb-gru74-6cfb66 Both inspired by Simon Sinek’s book “Start With Why.” He obviously wasn’t the first to come up with this concept – perhaps your acting teacher was? No matter. It’s took good a concept to keep to ourselves. Thank you for sharing! A great post. You write from the heart- I love that. We could all take a leaf out of Hope’s life. Give, give, give- the only way to leave your mark in this world. Congrats on the book—–well done!!!! What a beauty post, I’m sure she would be proud of you. Great post as always. Honoring those who planted seeds on our heart is always good to do. The Lord has a great way of reminding us that He uses people to do His purposes in our lives. You honor your teacher by applying what she taught. Your teacher and mentor would be proud! Really sorry for your loss. You talk so beautifully of her! I love the “what is done in love is done well” picture quote, mind if I use it on my blog? also great post. Sometimes we just need someone to speak some truth to us in an understanding way. Beautiful post. I think the greatest tribute that can be made to somebody is that they somehow made the world a better place for others. Well well well well well well. What unique blog. I think it’s night the post you found out the reason why. You may notice that nerd for news does not exist anymore. It’s not because of the reasons you may think. Over time I realized that I can have the best numbers in any website however I was losing focus on the task at hand. And I was losing focus as trying to verify the reason why I started the blog to begin with. Seems like the more social I got the more Focus I forgot. And I did get more social as time went on. You may not like this but even you have to admit it you and I are exactly the same the only difference is 4 different genders. But we’re both Americans if you really think about it. I closed down the block because I didn’t want to present Social Gospel and I thought with my latest rains it was becoming just that. I think I would like to start another one up but I don’t want it to become more Social Gospel again. My condolences to your Broadway teacher. I’m not one to like celebrities very much but even I found the Enrique Iglesias comment funny and the reason I found that funny is because I know Alex Daddario isn’t going to knock on my door anytime soon and if she does she’s going to bring a Samoan with her for protection. No I’m sorry I will not be back. But I wish you only the best with your blog and any future posts. Even though I won’t be back I will always be praying for you. Lovely post. RIP HOPE and thank you for giving us BBB – the gold version. We only enjoy life to the level to which we are willing to “give@ ours away for others. Thanks C. Been on the road, so I’m only now catching up on BBB Newsfeed. Beautiful story, thank you for sharing! I just want to say you write beautifully. I really hope some of the people who are battling and fighting to overcome difficulties read your blog and gain clarity, inspiration and hope. I loved this post. People who can see you and believe in you are to be treasured always, no matter when they come into your life. I’m 64 and hope I will still be growing into myself until the day I die!